Clickable link for Alison Glass Trinket Sew Along is here. 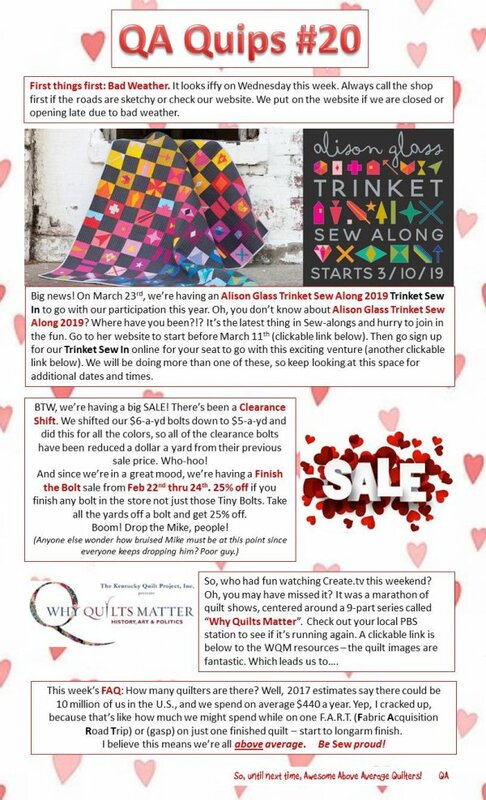 Clickable Link to sign up for our Sew In after you go to Alison's website to sign up for her Trinket Sew Along is here. Clickable link for Why Quilts Matter is here.